Nannup is a town and shire in the South West region of Western Australia, approximately 280km south of Perth on the Blackwood River at the crossroads of Vasse Highway and Brockman Highway, linking Nannup to most of the Lower South West's regional centres. Get outdoors at Big Brook Dam and Warren National Park. Satisfy your inner culture vulture at Cape Leeuwin Lighthouse and Peter Kovacsy Studio - Wood & Glass Sculpture Gallery. Explore the numerous day-trip ideas around Nannup: Pemberton (Gloucester Tree, Cowboy Up Trail Rides, & more). There's more to do: identify plant and animal life at Kondil Park Recreation Area. For reviews, traveler tips, more things to do, and more tourist information, read our Nannup trip planner . Sydney to Nannup is an approximately 12.5-hour flight. You can also drive. The time zone difference when traveling from Sydney to Nannup is minus 2 hours. Finish up your sightseeing early on the 23rd (Sat) so you can travel to Angaston. Angaston is a town on the eastern side of the Barossa Valley in South Australia, 77 km northeast of Adelaide. 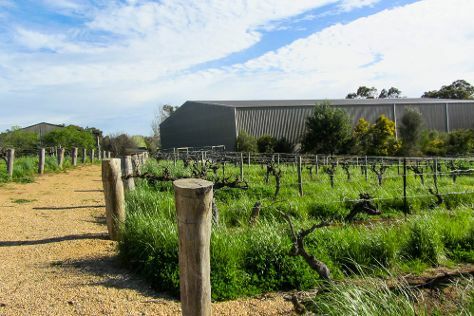 Do some cultural sightseeing at Seppeltsfield and Murray Street Vineyards. There's more to do: do a tasting at Chateau Tanunda. For maps and tourist information, read Angaston online road trip planner . Explore your travel options from Nannup to Angaston with the Route module. The time zone difference when traveling from Nannup to Angaston is 1 hour. In February, plan for daily highs up to 34°C, and evening lows to 19°C. Finish up your sightseeing early on the 27th (Wed) so you can travel back home.